The SAT is one of the two college-readiness tests students will need to take in order to apply to college in the United States. Colleges will ask for either your SAT score or your ACT score as part of your application, and students can usually choose to send the results of one test or both, depending on the school and on which test they feel they have done best. If you're a junior in high school, then you probably already know everything there is to know about the SAT. You know that you need to get a certain score in order to have a chance of being admitted into the school you want to attend, and you know that in order to achieve that score, you will have to study really hard. Parents and other relatives are probably giving you tips left and right about how to make the test-taking experience a little bit easier for yourself, which might make you feel overwhelmed. Despite this, though, it certainly never hurts to have plenty of tips at your disposal when taking the SAT. Because the SAT can have such an impact on the colleges to which you may or may not be accepted, students tend to spend a lot of time studying for the test. Though most students will take the SAT during their junior year of high school, many will begin studying as early as their freshman year. While it's always easier to begin studying for the test when you've already learned the necessary material in your high school courses, there may be some questions on the SAT that you'll need to spend more time studying for on your own. There are many ways to study for the SAT once you decide it's time to start buckling down. 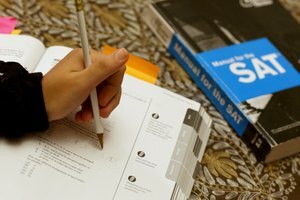 The most basic thing you can do to begin studying for the SAT is to take out practice books from the bookstore or library and download materials from the SAT website. These books have everything from practice questions and tests to advice about how to tackle certain questions that are difficult. With these materials, you can write inside of them, circling questions with which you are having trouble and taking note of which questions are easy for you. Therefore, make sure you have pencils and highlighters handy and bring the materials along with you wherever you go. Don't just write down whether or not a question was easy or hard. Write down the reasons a question is easy and take note of why certain questions are challenging for you. This will help you to really understand what you need to work on over the next year or the next couple of months in terms of studying. Once you do that, you should continue to use those books for guidance and support, but you can also consider taking a practice test, known as the PSAT. Since the PSAT feels a lot more like the real test than the practice tests you have in your book, it's a good opportunity to see what score you can get and recognize which area of the SAT test will require the most studying. After this, you may consider signing up for an SAT tutor or an SAT course or even joining an SAT study group with friends. There is no wrong way to study for the SAT. As long as you put the time in and try different methods for studying, whether that involves making flashcards or watching preparation videos on YouTube, you'll increase your chances of getting the score you want to get on the SAT test. Is the SAT all Multiple Choice? If you're already beginning to study for the SAT, then you likely already know what to expect when it comes time to take the test. However, if you need a little refresher regarding the nature of the SAT, remember that there are three sections, including reading, math and writing and language. All three of these sections are multiple choice. The reading section has 52 multiple-choice questions, the writing and language section has 44 multiple-choice questions and the math section has 58 multiple-choice questions, in which 20 of those questions are no calculator and 38 are calculator allowed. The only section on the test that does not have multiple-choice questions is the essay section. Though the essay section is optional, some schools do require it. 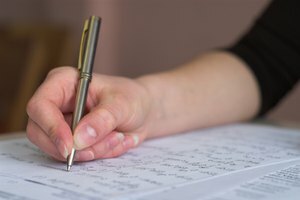 A big tip is to check with the schools to which you're interested in applying to see whether or not they ask for scores from the essay section. This will help you determine whether or not it's a good idea to take it or if you should instead put all your energy into getting a good score on those three multiple-choice sections. While some students may excel in the math section of the SAT, others may struggle with it. First and foremost, it's important to know what kind of math topics you can expect to be covered on the SAT. 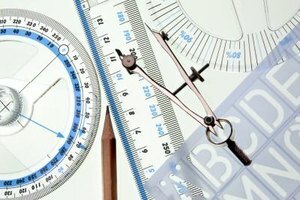 On the SAT Math section, the topics covered are Algebra I, Algebra II, geometry and some trigonometry. Because the SAT is taken in the junior year, there's a chance you may not have gotten to all those topics just yet, which is why you'll need to spend time not just studying but also learning some of the material. 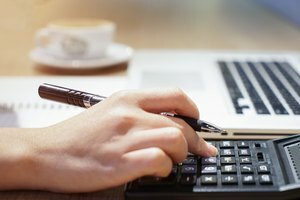 The first thing you can do to better prepare yourself for the math section is to go over calculator functions, like when to use them and how to use them. However, most students actually need the most help with the no-calculator section. Therefore, it's helpful to have some useful tips for this section at your disposal. Look for Patterns: Many questions in the math section look very complicated, but when you take the time to look for patterns and think about what the question is asking you to solve, you will do better. Don't just start solving the question right away, because you might make a mistake. Instead, think before you solve. Show Your Work: Even though the machine can't give you more points just for showing your work, it can help you to catch any mistakes while problem solving. Substitute Numbers and Check: A major tip for the math section is to try to solve problems with various numbers (for instance, if you have to solve for X) and see if it calculates both times. Also, make sure to always work backward and check your answers by putting it into the problem and seeing if it equals the same. Never finalize your answer until you check. Pace Yourself: With only 25 minutes to answer 15 multiple-choice questions and 5 grid-in questions in the no-calculator part of the math section of the SAT, that only gives you a little over a minute to solve each question. So, pace yourself accordingly, and if there is a question you can't solve, move on to the next one. In the reading section of the SAT, you will be given passages or pairs of passages that you will need to read, and then you will need to answer questions about each. The passages can be about anything from historical documents to the sciences to literature. Therefore, you should familiarize yourself with all those types so that you're not surprised during the test. Additionally, you can consider some tips to help you succeed in this section. Don't Spend Too Much Time Reading: Typically, you will be given five passages to read. With 65 minutes to do this section, you need to be careful about how much time you're spending on each passage. You should only spend three to four minutes on each passage. Therefore, you may need to skim over them a bit. Refocus: It's really easy to lose focus while you're reading. If you notice yourself doing this, do a little head shake or sit up straight to get focused again. Use the Test to Take the Test: While this tip is only recommended if you are crunched for time, try to find easier questions that you can answer first by reading the question and then searching for the answer in the text. When people talk about the SAT, it's not uncommon for them to say that there are two sections: English and math. While there is some truth to that, another simple tip is to remind yourself that it's not just these two sections because the English section is broken up into two very different sections. Unlike the reading section, the writing and language section asks questions about grammar, vocabulary in context and editing skills. Therefore, this section needs to be given just as much attention as the other sections when studying, and you can take some tips into account in order to do well. Reverse Answer: With only 35 minutes for this entire section, you likely won't have time to read every passage and then read the questions. Instead, jump to the questions and see what you're being asked, and then go back to the passage to find the answer. The Correct Answer is Always Relevant: The answer choices given are meant to make you think really hard about what the correct answer should be. A good tip is to choose an answer that is shorter because if you were to insert the longer choice into the text, the sentence would likely be too wordy. Additionally, if an answer seems to be strangely off topic, then eliminate it at the beginning. Review Punctuation: You will be asked about punctuation on the test, so study exactly when a comma is used, when a semicolon is used, etc. Review Relationships Between Ideas: Do you know what "contrast" means or what "cause and effect" means? Make sure you review all the different terms that can be used to describe relationships between ideas. Having to take the SAT can cause a lot of anxiety and concern in the lives of high school students around the country. However, knowing that there are tips readily available in order to help you get the score you want can really make all the difference. In addition to knowing tips that are specific to taking the test, it's beneficial to know general tips and strategies to ease the anxiety and help you feel good on test day. Exercise up to a few weeks before and take stretch breaks during study sessions. Stay calm and pace yourself accordingly. Remember that there are no points deducted for wrong answers, so if you're not sure, then guess. Guessing is also better than skipping a question and not putting down any answer because with guessing, there's a chance you might guess right, whereas if you don't put any answer down, you're automatically wrong. LaRock, Hana. "About SAT Tips." Synonym, https://classroom.synonym.com/about-sat-tips-13714944.html. 27 September 2018.